Firefox Users, Here’s How To Turn Your Security Up A Notch! Home > Blog > Firefox Users, Here’s How To Turn Your Security Up A Notch! Enhancing your privacy and minimizing the risk of being tracked or hacked whilst surfing the web starts with being aware of the possible threats that lurk online. Each time you browse the Internet, you are actually leaving a trail of your private information: what you bought, what topics piqued your interest, which pages you were on, and more. This data is then collected by ISPs, advertisers, and other trackers. Don’t be surprised if this data also falls into the hands of cyber criminals. Firefox keeps your data (preferences, favorites, passwords, etc.) on Mozilla’s servers by default. This is done to allow you share this data across multiple devices. However, Firefox only syncs your data if you have a Firefox Account. When you want to specify what data you want synchronized with a certain device, simply head to Menu > Preferences > Sync. We are certain that you do not like having ads popping up every time enter a certain website. If you want to avoid this situation, go to Menu > Preferences > Content and check the ‘Block pop-up windows’ box. You can also add some exceptions if you know what you want exactly. 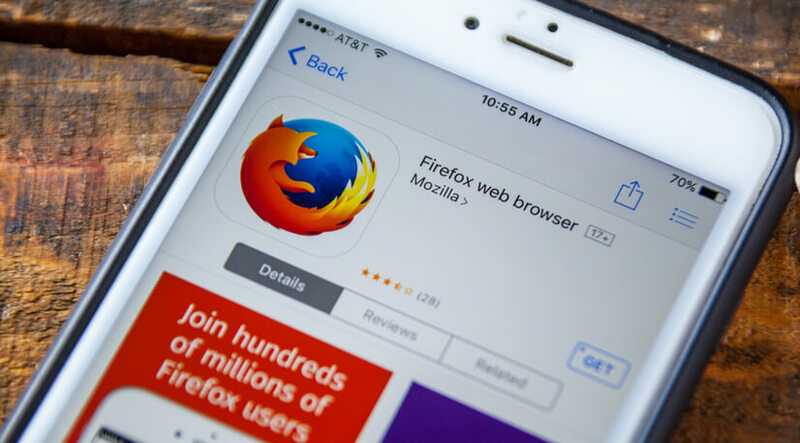 Firefox’s private browsing mode is available to use by default or occasionally. This mode allows you to visit websites without storing data regarding your browsing activities. However, you should keep in mind that private browsing does not make you anonymous. Other applications can still track what you view and do online. Aside from opening a private browsing window, you can adjust your ‘Privacy’ settings to never remember history. If you wish to browse the web anonymously, you can consider using a private proxy server. At Proxy Key, you will find a variety of proxies that will suit your needs. Firefox’s location bar is designed to provide convenience when searching. It automatically suggests websites based on your past browsing habits and favorite topics. If you do not like this feature, fortunately, you can turn this off by unchecking the boxes: History, Bookmarks, and Open tabs. A notable Firefox feature is its ability to protect users from harmful malware and phishing attacks. When you enable this function, your browser will check the site you are trying to access against a list of common cyber threats. If the site has been flagged as malicious, you will be promptly alerted. Currently, you will face a red warning screen. If you turn tracking protection on (make sure ‘Use Tracking Protection in Private Windows’ is checked), Firefox will automatically block elements that are attempting to track your browsing activity. Remember, you can tweak the protection levels. Simply click ‘Change Block List’ to proceed.